MARCH, JOHN (occasionally written Marsh, Mark or Martch), innkeeper and ferry operator at Newbury, Mass., ship-builder, colonel in the Massachusetts Bay militia, and active participant in many battles between the French and Indians and the English; b. 10 June 1658 (o.s.) in Newbury, the fourth child of Judith and Hugh March; married at Newbury 1 Oct. 1679 to Jemima True; d. July 1712 in Woodbridge, N.J. In 1690 March was captain of a company of volunteers which participated in the unsuccessful expedition against Quebec under Sir William Phips*. He completed construction of Fort William Henry at Pemaquid from 1692 to 1693 and was “commander of their Maties Fort” until 1695. In November 1694 March was instrumental in the capture of Bomoseen, the Norridgewock chief, when the latter came to Pemaquid for a parley. He was again in the service of the bay colony in 1697. Fearing a formidable French invasion by both land and sea, Lieutenant-Governor Stoughton attempted “to put the whole province into a posture of defence.” March, now a major, was sent with about 500 soldiers to prevent any descent of the enemy along the eastern frontiers of Maine. On 9 September 1697 he encountered and successfully repulsed a war party of 200 Indians and “several French” on the banks of the Damariscotta River. This, coupled with the failure of the French expedition under the Marquis de Nesmond to invade New England by sea, temporarily brought peace to the frontiers. Major March, moving his family and possessions with him, became in 1702 “commander and Truckmaster at the Fort at Casco Bay” (Fort Loyal, Falmouth, now Portland, Me.) on “the utmost Frontier.” He was wounded and lost most of his property when, a year later, the fort came under severe attack by Abenakis led by Alexandre Leneuf de Beaubassin. For his “brave defence” March was promoted lieutenant-colonel. He commanded the fort at Casco Bay until 1707. AN, Col., C11D, 6. The acts and resolves, public and private, of the province of the Massachusetts bay (21v., Boston, 1869–1922), VII, 377, 404–9, 571, 601; VIII, 668–96, 715–18, 722–51. Boston News-Letter, no.433, 4 Aug. 1712. 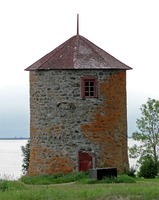 Charlevoix, History (Shea), V, 194–96, 200. Coll. de manuscrits relatif à la N.-F., II, 464–70, 477–81. Dièreville, Relation of voyage to Port Royal (Webster), 209–15, 318–20. Documentary hist. of Maine, IV, 24–25, 150, 187–88, 243; IX, 164–65, 167, 183–84; XXIII, 9. Extracts from John Marshall’s diary, January, 1689–December, 1711, ed. S. L. Green (Cambridge, 1900), 19, 23. Mass. Hist. Soc. Coll., 3d ser., V, 189–96; 5th ser., VI, 127–29; 6th ser., III, 374, 388–92. Mather, Magnolia Christi Americana, II, 611, 619, 628, 632, 637–38. New Hampshire provincial papers, Documents and records relating to the province of New Hampshire (40v. in progress, 1867– ), II, 247–50, 269, 492, 506–7. Penhallow’s Indian wars (Wheelock), 6, 9, 41–43. PRO, CSP, Col., 1693–96, 1696–97, 1702, 1702–3, 1706–8. 1690, Sir William Phips devant Québec (Myrand), 229. Vital records of Newbury Massachusetts to the end of the year 1849 (2v., Salem, 1911), I, 306; II, 315. S. L. Bailey, Historical sketches of Andover . . . Massachusetts (Boston, 1880), 58–59, 180, 183–84. J. J. Currier, “Ould Newbury”: historical and biographical sketches (Boston, 1896), 64, 69, 157–59, 175–76, 180, 184–86. S. A. Drake, The border wars of New England, commonly called King William’s and Queen Anne’s wars (New York, 1897), 72, 85, 129–30, 159–60, 227–28. Hutchinson, Hist. 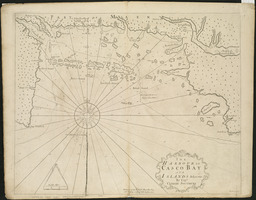 of Mass.-bay (Mayo), II, 78, 123–27. 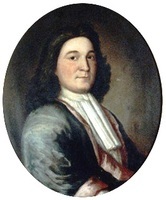 Everett Kimball, The public life of Joseph Dudley: a study of the colonial policy of the Stuarts in New England, 1660–1715 (New York, 1911), 121–23. Murdoch, History of Nova-Scotia, I. Daniel Neal, The history of New-England, . . . to the year 1700 . . . (2v., London, 1720), II, 555–56. Rameau de Saint-Père, Une colonie féodale, I, 330–34, 339–40. Essex Institute, Salem, Mass., Hist. Coll., XXXV (1899), 136; LVIII (1922), 80–81, 85–86. John David Krugler, “MARCH, JOHN,” in Dictionary of Canadian Biography, vol. 2, University of Toronto/Université Laval, 2003–, accessed April 21, 2019, http://www.biographi.ca/en/bio/march_john_2E.html.